The leading independent specialist for windscreen replacement and windscreen repair based in Gloucester and serving all of the Gloucester area. National Windscreens Gloucester fitting centre provides windscreen replacement and windscreen repair services to businesses and individuals throughout Gloucester and the Gloucester area. 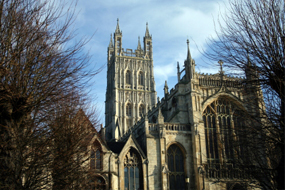 The city of Gloucester sits in the County of Gloucestershire and sits on the UK’s largest river, the River Severn. At the heart of the city is the beautiful setting of College Green in which the Norman cathedral sits. The city centre is pedestrianised and the traditional high street shops are all present, as well as some unique cafes and bars. The city has excellent transport links, and is located on the M5 which allows access to Bristol in the south, and Birmingham in the north. The Gloucester windscreen fitting centre and its mobile vehicle glass technicians service the needs of Gloucester and the surrounding area including Cheltenham, Stroud, Tewkesbury and Bishops Cleeve. With 108 fitting centres and over 800 mobile technicians, National Windscreens operates the UK's largest windscreen repair and windscreen replacement network. The company provides low cost, high quality windscreen replacement and windscreen repair from its Gloucester fitting centre 24 hours a day, 7 days a week, 365 days a year. Repair and replacement of all types of vehicle glass including windscreens, rear windows and side windows is undertaken throughout Gloucester and all of the Gloucester area.